We will remember why we started homeschooling in the first place, and we will write those reasons on the door frames of our houses and tie them as symbols on our hands so that on the hard days – for there will be hard days — we will not forget the bigger picture and higher purpose. 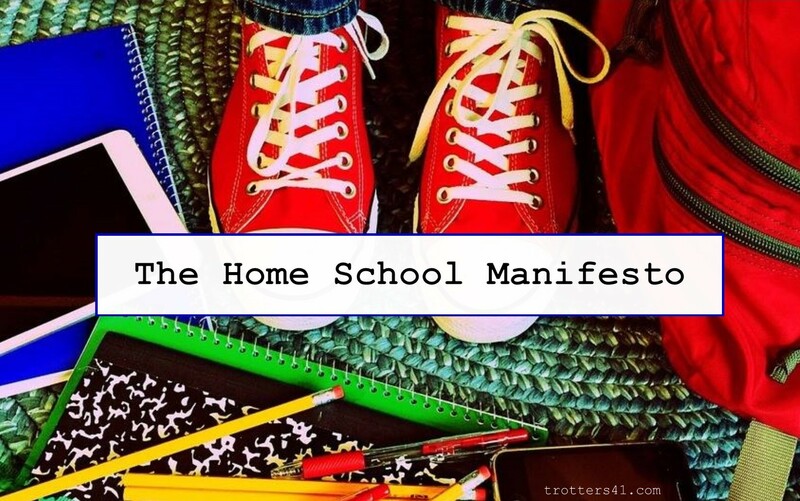 We will remember that homeschooling is only part of parenting, and that even when we feel like quitting, we will remember that quitting home schooling will not solve all our parenting woes. We will find our safe people. We will confide in other parents who understand both our daily struggles and our big picture struggles. And we will politely ignore those who disdain our family and educational choices. We will remember that we are not trying to produce perfection; we are trying to honor humanity. We are trying to explore the big ideas in Scripture and literature together. We are trying to build loving relationships and make good memories. We will accept our own limitations. And we will accept our children’s limitations. We will embrace who our children are and not try to squeeze them into any one particular educational mold. We will laugh often, and we will refuse to take ourselves too seriously. We will release the pressure on ourselves to perform and to produce kids who perform. Performance is not the point of education; neither is it the point of life. We will remember that kindness and character are more important than test scores, and we will refuse to devolve into check-listing. Or competition. We will cultivate our own sense of wonder, and we will share that wonder with our children. We will delight in the world God made, we will delight in the children He has given us, and we will delight in learning new things alongside them. And when we miss the mark and forget these things – because we will miss the mark sometimes – we will return to the notes on our door frames, turn our hearts toward our children, and ask the Holy Spirit to guide us anew. Download a printable PDF version of this Manifesto here. So, where’s the handy, printable version? – because I need this on MY doorframe, too! Thanks for the printable-version-idea Bethany! Love you and look forward to doing this TOGETHER next school year! And thanks for your prayers too! We’ll need ’em! This is great Elizabeth! Thanks for sharing. I especially like the parts that school and life are not about performance. And to remember that we need to wonder and delight. Thanks, Jodie, glad you liked it!